A recently discovered copy of the 1921 yearbook “Ahdawagam” from Wisconsin Rapids Lincoln High School revealed that Grandpa Carl Henry Frank Hanneman played right end for the Lincoln varsity football team. 1920 at Wisconsin Rapids. It was an up-and-down season as the Rapids team racked up a 4-3 record. Highlights included a 39-0 victory over New Lisbon and a 28-0 win at Stevens Point. The team took a 56-0 drubbing at the hands of Antigo and suffered a 26-6 loss to Merrill. One thing Carl did not have that his teammates did was a nickname. Other young men on the team had nicknames such as “Cyclone,” “Butch,” “Tubby,” “Kid” and “Murphy.” Carl did not have a football nickname, but he did have the nickname “Oswald” next to his high school senior portrait. We’re not sure what to make of that one. Hanneman (1833-1919) and his wife, Amanda Auguste Bertha Henriette (Ladwig) Hanneman (1828-1908). We previously had no photos of Amanda, and only a distant view of Christian on the farm of his son, Albert. The new formal portrait of the couple means we now have photographs of relatives who date as early as 1828. That puts us within one generation of the earliest known Hanneman ancestor, Matthias Hannemann (1794-1879). Christian and Amanda Hanneman were the last of the Matthias Hannemann clan to emigrate to America from Pomerania. They arrived in New York in late November 1882 aboard the steamship Katie. They settled in the Town of Grant, Portage County, Wis. 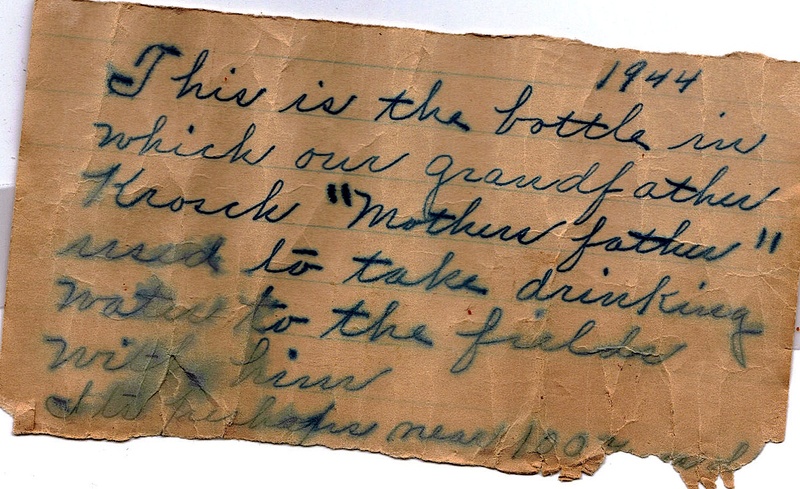 The Ostermann family of Wood and Portage counties is one of the Hanneman-related lines still shrouded in some mystery. But we’re getting a much clearer picture thanks to research by an Ostermann descendant from Madison. The Ostermann family is related to the Hannemans primarily through Rosine Bertha Henrietta (Osterman) Hanneman, the mother of Carl Henry Frank Hanneman (1901-1982). She was the daughter of John Christian Ostermann (1844-1887). According to new research done by Chris Bartosh of Madison, the Ostermann family originated in St. Bernhard, a small rural village in the German state of Thuringia. Thuringia is known as the “green heart of Germany” for its heavy forests. 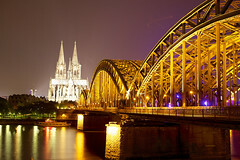 St. Bernhard, with a current population of 275, is about 75 miles northeast of Frankfurt, Germany. Like the Hannemann family in the village of Zeitlitz in Pomerania, the Ostermanns were long established in St. Bernhard and surrounding villages. The patriarch of the Wisconsin family was Johann George Ostermann (1817-1894), the father of John Ostermann. The church register has listings for his father, Johann Martin Ostermann (1766-1844) and mentions his grandfather, Nikolaus Ostermann. The Ostermanns had lived in Beinerstadt, a village less than a mile north of St. Bernhard. Johann Martin and his father Nikolaus were both born in Beinerstadt. Johann George Ostermann’s occupation in St. Bernhard is listed in the church register as a “webermeister,” or the foreman in weaver’s shop. George Ostermann, his wife Dorothea Frederica, and their four children applied for permission to emigrate to America in February 1852. On June 4, 1852, the family arrived in New York City aboard the brig Charles and Edward. The journey took 44 days from Bremen to New York. From there they headed west for Wisconsin. The 1855 Wisconsin state census lists the George Ostermann family as living in the Town of Norway, Racine County. They lived in the Village of Wind Lake until 1858. By 1860, the family had moved, settling in the Town of Linwood, Portage County. As a result of this new research, we have more surnames to add to the family database, including Popp, Schad and Zehner. Like the Hanneman family, the Ostermanns eventually dropped the second “n” from their last name. A remarkable photo recently surfaced showing a tie-clad, suspender-wearing Charles Frederick Christian Hanneman, one of the pioneers of the Hanneman family of north central Wisconsin. The color photograph, which appears to date to the late 1920s, shows an aging Charles Hanneman wearing his Sunday best. 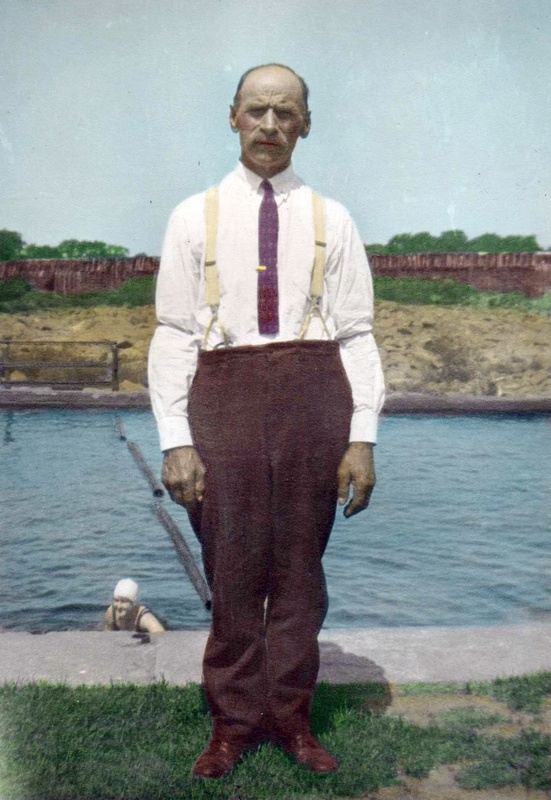 He appears to be standing next to some kind of canal that was used for swimming. 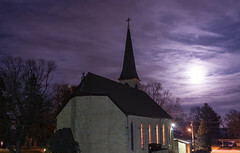 The photo was supplied by Tim Swanson, one of Charles Hanneman’s great-grandchildren who descends from Charles’ son, Wilbert G. Hanneman (1899-1987). Charles was also the father of Carl F. Hanneman (1901-1982), Arthur Hanneman (1893-1965) and Frank Hanneman (1895-1947). It is an important visual clue to the life of this Pomeranian immigrant who came to America at age 16 and built a new life for himself in and around Grand Rapids (now called Wisconsin Rapids). For a retrospective on the life of Charles Hanneman (1866-1932), read this 2008 article from The Hanneman Archive. Hannemann, geh Du voran! Type that German phrase into any search engine and it will return a mass of entries that make reference to this old saying. One of the more recognizable sayings among German-speaking Europeans uses the Hannemann surname. Pretty exciting, huh? As it turns out, the phrase isn’t exactly a compliment. This particular Hannemann, and the other men in the folklore story, are looked at with derision, although perhaps with a bit of envy. To understand this infamous Hannemann reference, you have to look back a few centuries at an old folk tale about seven Swabian soldiers (die sieben Schwaben). Versions of this tale are said to date to the early 16th century. The Brothers Grimm published their own version in the 1800s. The lightly armed sieben Schwaben set out into the world and encountered dangers along the way. At one point, they came across what they feared was a hideous beast (but in reality was just a common rabbit). Not wanting to face the menacing animal, one Swabian after the other insisted that the soldier Hannemann step forth to the head of the line. Hannemann, geh Du voran! Du hast die gröβten Stiefel an, Daβ Dich das Tier nicht beiβen kann. “Hannemann, go forward! You have the biggest boots on, so the animal won’t bite you!” Here the Swabians are showing their inherent cowardice in the face of imagined danger. In the folk-tale version penned by Jacob and Wilhelm Grimm, the sieben Schwaben venture into the world armed with a single spear to protect them. The bravest man was said to be in front. Hearing a beetle or hornet fly by his head, the now-frightened leader jumps a nearby fence. He lands on the teeth of a rake, and the handle smacks him in the head. “I surrender! I surrender!” he shouts. 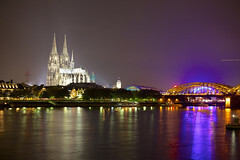 The bumbling Swabians eventually drowned in the Mosel River, thinking it was shallow enough to wade across. The leader called to a man on the other side of the river, asking how to get across the mossy river. Not understanding their dialect, the man answered back, “Wat? Wat?” The first Swabian thought he heard the man say, “wade!” So in he went, and drowned. The others heard the same instructions: “Wat, wat, wat.” So in they went, to the same fate. What they actually heard was a frog across the river, croaking: “wat, wat!” Poor Swabians. It is reminiscent of the antics of Fatty Arbuckle and the Keystone Kops from those famous silent films. Why have Germans poked fun at the Swabians for so long? It could be envy. Swabia is a region in southwest Germany near Switzerland and France. The Swabians have been described as strong and warlike, with a history of fighting with their neighbors. For generations they have been panned by other Germans as simpletons, cowards, stingy or prudish. These depictions may actually be the begrudging acknowledgment by neighbors that the Swabians are actually resourceful, clever and hard-working. We need to point out that this region of Germany is not near the Baltic Duchy of Pomerania, where our Hannemann ancestors came from in the mid-1800s. So the soldier Hannemann of the sieben Schwaben was likely not related to our ancestor Matthias Hannemann, an infantry soldier in a Pomeranian regiment of the Prussian army. But we should not be so quick to disown our Swabian cousin. For if you believe the explanations for the cheap shots aimed at Swabian Germans, this soldier Hannemann might have been a courageous and industrious fellow. Maybe some envious numskull decided to pen a derisive story about him. A bit of revenge, perhaps? 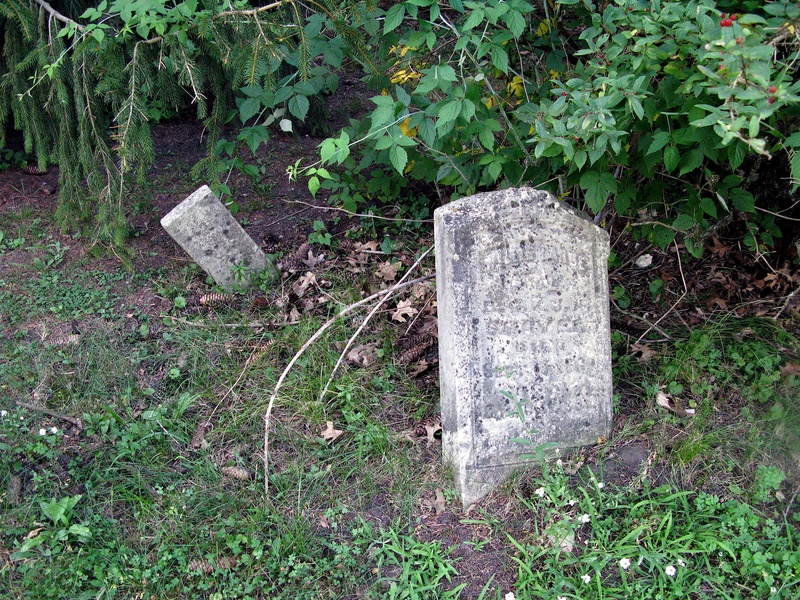 Matthias Hannemann Grave Discovered in Portage County, Wis.
For decades, the records of St. John Lutheran Cemetery in Kellner, Wis., did not include a location for the grave of one of the church’s old settlers, Matthias Hannemann. His funeral and burial in May 1879 were recorded in the church register, but with no indication of burial location. This more than century old mystery has been solved, however, and we now know where this early Hanneman forebear is laid to rest. As part of a research project for a forthcoming Hanneman history book, we found the grave location at the cemetery just southeast of Wisconsin Rapids. The grave site of Matthias Hanneman is at left center, indicated by the upturned earth of the partially excavated stone. Matthias Hannemann (1794-1879) is the earliest known ancestor of the Hanneman families of Wood and Portage counties of Wisconsin. He was the great-grandfather of Carl F. Hanneman of Mauston, Wis. Matthias came to America before June 1870 from Meesow, county Regenwalde, Pomerania, to settle with his children in north central Wisconsin. 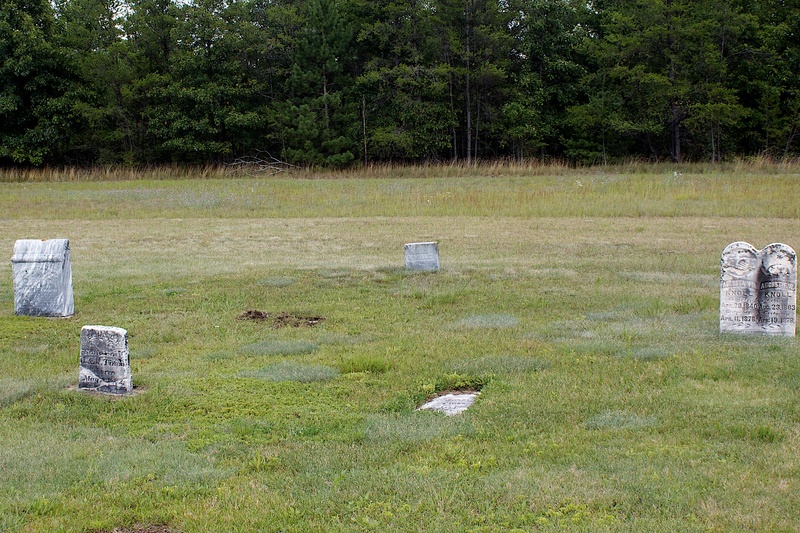 During a site visit to St. John cemetery in July 2009, we determined that the earliest burials at the cemetery were physically arranged by date of death. Based on that, we determined Matthias would have been buried between August and Augusta Knoll (April 1878) and Carl Schmidt (October 1878). There was an unmarked grave in this spot, with a small portion of headstone poking above the grass. 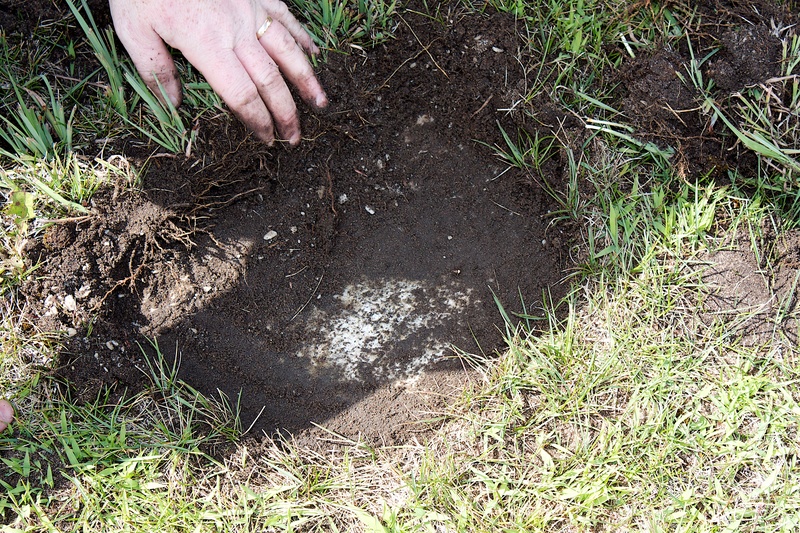 Once we found a portion of stone poking above grass level, we pulled the grass back to reveal the headstone. We pulled back the overgrown grass and weeds and a light layer of sand to reveal a 1 foot square remnant of headstone. Some hints of lettering were visible on the badly weathered and corroded stone face. We photographed the stone and applied a variety of filters and effects to the photo file, but could not make out a name. We asked Sue Alft, head of the St. John Cemetery committee, to visit the site. 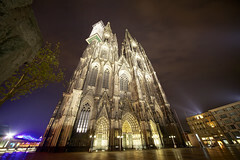 She agreed that the plot was the burial place of Matthias and his second wife, Caroline (Steffen) Hannemann. Coincidentally, Alft is descended from Matthias Hannemann through his daughter, Friedericke (Hannemann) Kruger (1825-1918). 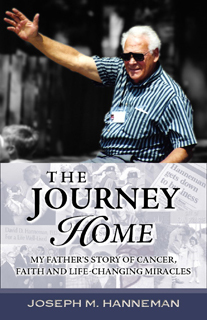 William and Crystal Krosch faced unthinkable tragedy during their first years in Wisconsin. The joy at the birth of their daughter Ida Clara Krosch in February 1858 turned to dread and sadness just a few years later. Sick with diphtheria, little Ida died two days after Christmas 1861 at the family home in the town of Eagle in Waukesha County, Wisconsin. 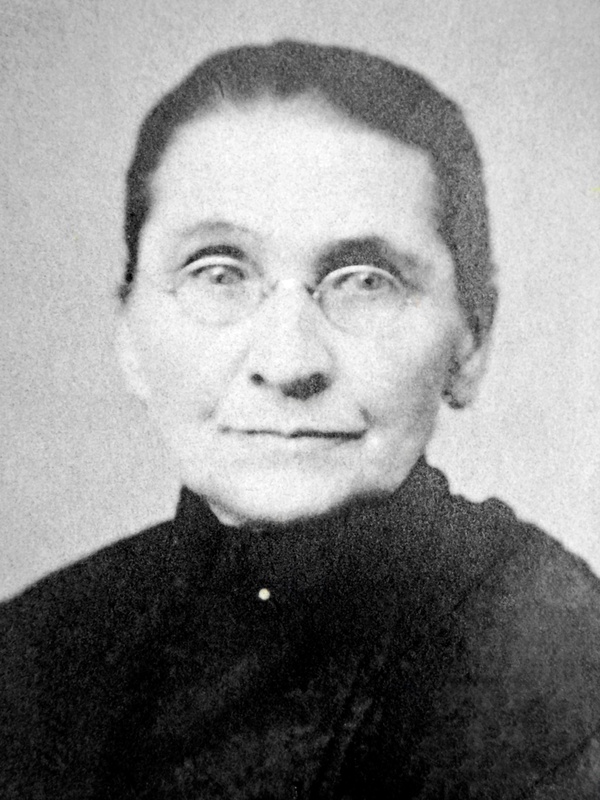 Ida Krosch was laid to rest at Oak Grove Cemetery about a mile south of the village of Eagle. A 2-acre parcel carved out of the Kettle Moraine Forest, the cemetery was a scenic, peaceful place that no doubt brought some comfort to the family during visits to the little girl’s resting place. What shock they would feel if they witnessed what would become of the little country cemetery long after the family had moved to Minnesota. What was going on in the world in December 1861? “It looks now as if we are to have good sleighing for Christmas, as several inches of snow fell during Sunday last,” wrote the Waukesha Freeman on Dec. 24, 1861. The newspapers were promoting a Waukesha visit by Gen. Tom Thumb, “America’s Man in Miniature” made famous by P.T. Barnum. And many local men were leaving their businesses to join Wisconsin troops in the Civil War. The arch over entrance to Oak Grove Cemetery, Eagle, Wisconsin. The burial records of Oak Grove Cemetery are testament to the hardships of pioneer life in rural Waukesha County. It was common for families to lose young children to diseases such as diphtheria or typhoid fever. Ironically, an article run in the Waukesha Freeman the week Ida died wrongly predicted that diphtheria would be fatal in just one of 100 cases. Diphtheria would become the No. 1 killer of children in America during the coming decades. The cemetery is replete with stories of the sadness of youth lost. James Lowry died at age 5 in 1858. Ada Severance died at age 4 in 1855. Arden Baldwin died at age 3 just months before Ida Krosch. Oscar Jaycox was just 1 when he died in 1858. Arthur Bigelow was 2 when he died in 1855. Orlando Cook was a mere 8 months old when he died in 1852. Peter Grems, reported to be the first veterinarian in the Wisconsin Territory, is buried here. Charles Kilts, a bugler for Company K of the 1st Wisconsin Volunteers in the Civil War, is buried here, too. He died in September 1862. No doubt the graves of these folks were tended to with care for many decades, but Oak Grove Cemetery has now become a sad monument of neglect and abandonment. Monuments have been toppled. Headstones lie in pieces. Many headstones are leaning badly. Grave sites are covered in thicket. Some have been swallowed by the encroaching forest. The wrought iron fence that separates the cemetery from nearby Highway 67 is rusty and listing. No doubt the families of these souls would be heartsick to see the state of this burial ground. 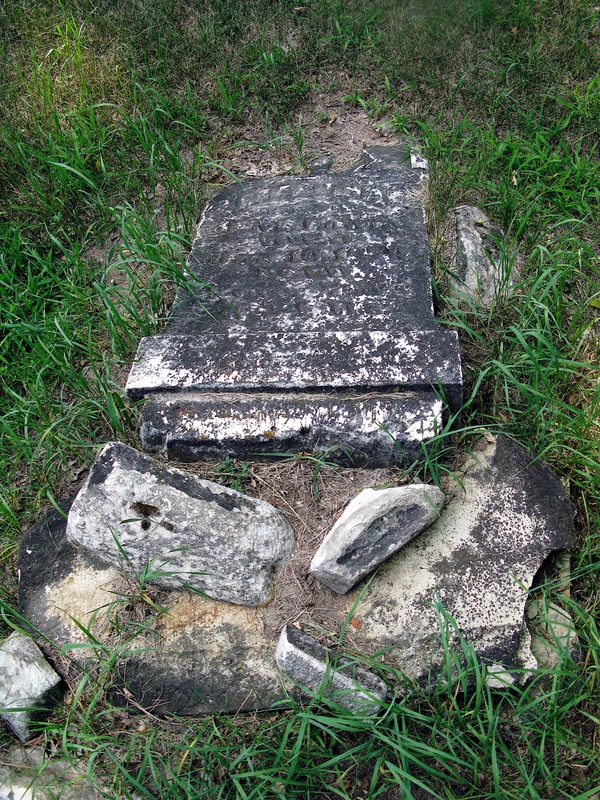 Broken tombstone of Eliza Mead, who died in 1870. Ironically, Oak Grove Cemetery is just across the road from Old World Wisconsin, the world’s largest museum on the history of rural life. Old World Wisconsin is run by the Wisconsin Historical Society. Maybe if they included their neighboring cemetery on their tours this hallowed ground would not be in such deplorable shape. For the most part, burials stopped at Oak Grove in 1967, 125 years after the cemetery was founded. We did find one interment at Oak Grove in 2007. Since the cemetery association that cared for the land disbanded long ago, upkeep of the cemetery falls to the local government. It appears the grass gets mowed, but that is no doubt where the maintenance stops. Willie Larue Snover, who died at age 8 in 1869. 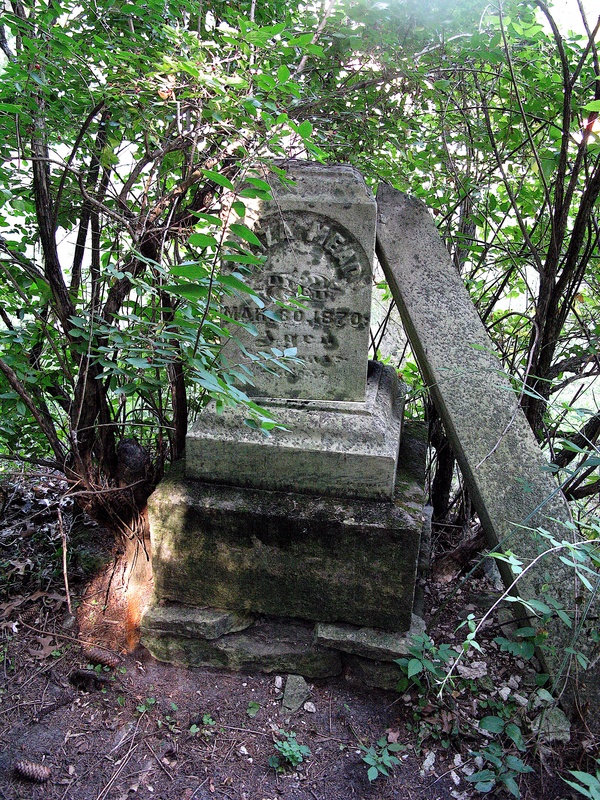 Under Wisconsin law, circuit courts can compel local municipalities to care for abandoned cemeteries, or even order the reinterment of the deceased in new cemeteries. Given that Oak Grove is a pioneer cemetery with the remains of the founding families of Eagle, as well as many Civil War veterans, it is very sad that more pride is not taken in preserving it. 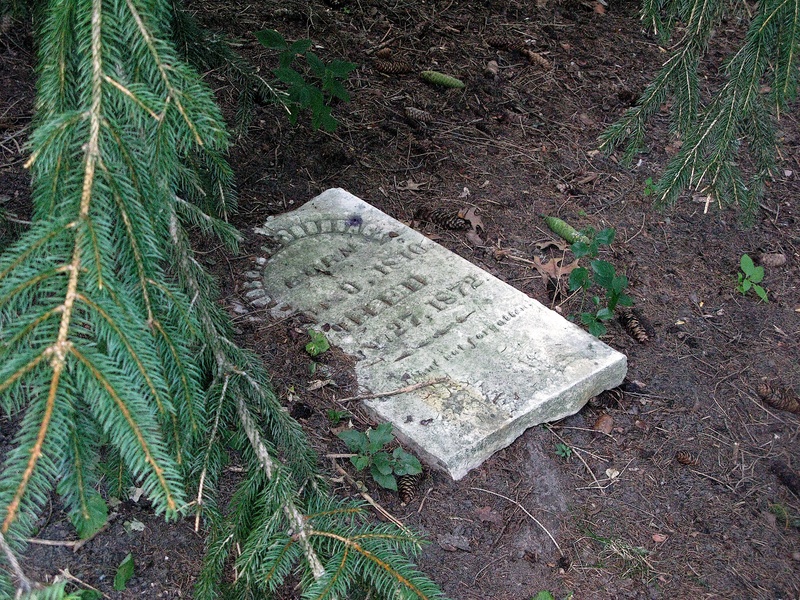 Little Ida Clara Krosch’s tombstone can no longer be found at Oak Grove Cemetery. Maybe that’s just as well. 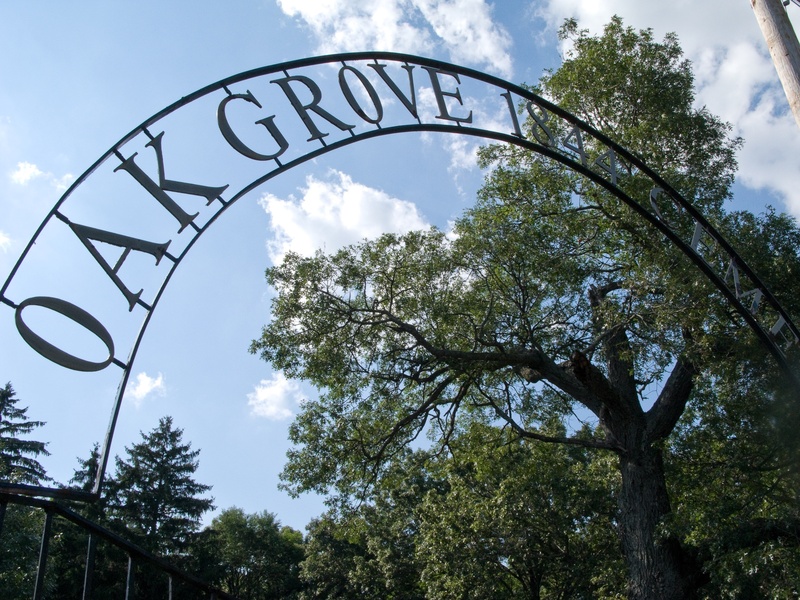 Her parents and their descendants would no doubt hang their heads in sadness and shame to see what became of little Oak Grove Cemetery. Grave of Martha Lowry, who died in 1873.